Time Warner Cable has, like most of the major cable providers, been working diligently to bring their services to subscribers’ mobile devices by launching apps for controlling settop boxes, managing DVRs, streaming VOD content and, increasingly, streaming live TV. Live TV streaming for Android apps seems to be stalled while Ice Cream Sandwich moves into the market, but TWC’s developers aren’t wasting time looking for new platforms to join the iOS version of TWC TV. 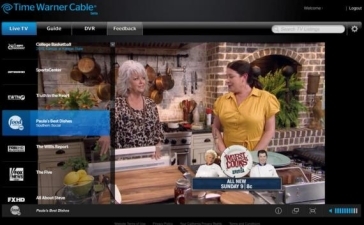 The company has launched a beta version of TWC TV for the desktop. The desktop version will be browser-based and utilize a Silverlight-player. Like the iOS apps, the desktop version of TWC TV offers DVR management and streaming video so long as the subscriber is on their home network, and also offers options for seelcting from the program guide to play on the PC or to turn on and control the settop box for viewing on the television. After expanding its live TV streaming from iPads to iPhones, Time Warner Cable is going in the other direction and offering the service on PCs. The PC version of TWC TV launched today in beta — still no word on streaming to Android devices or HDTVs yet — but the Silverlight player will work on Windows and OS X, in Internet Explorer, Firefox, Safari or Chrome.